When I spotted this killer jumpsuit from Whit on this blog I fell in love. I also immediately thought of the Love Notes invitation from Bella Figura. Both remind me of a tropical getaway. 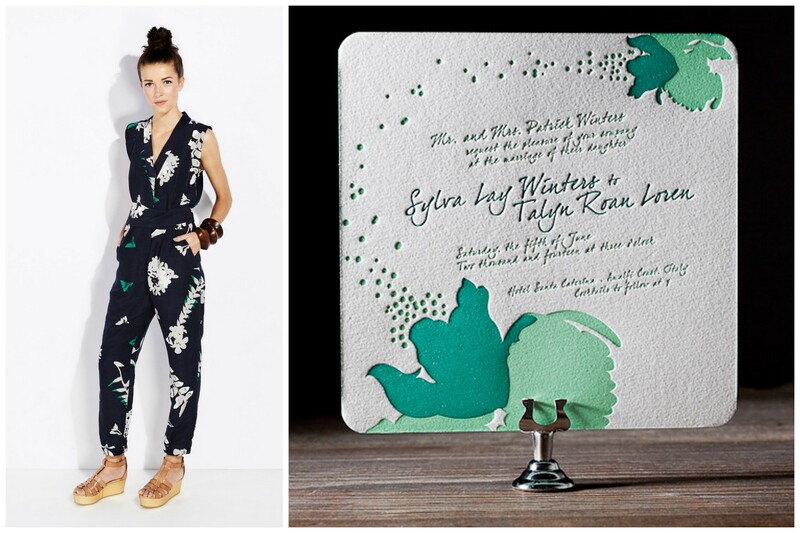 I would wear the jumpsuit on a Hawaiian vacation and send the invitation for a soiree on a tropical beach somewhere. Now if only I had a vacation planned….